Exquisit amounts of fun. You are defending your house from atack form offcourse evil zombies. As name of game sugests you do this with help from plants world. So different kind of zombies, some are jumping some are slow but tough some are explossive and great deal of more diversity. Then we have plants, water, ground based, night loving, daylight huggers, mushrooms, melons, frozen mellons beans minigun, and again even more. Mix all this together and you get the picture about this legendary, weird and different tower defense game. Strategic placing was never so crucial and fun, we are eagerly avaiting its successor because as many levels as it has got it isnt nearly enough. 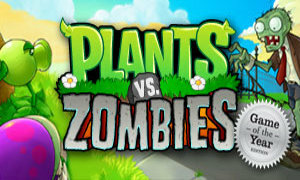 Plants vs Zombies is available as free demo or flash game everywhere on internet, also on apple appstore and google play. Give it a try you wont regret it. anonymous: "great game, but boy did they mess up sequel of Plants vs Zombies market enter strategy. Android still awaiting for non china edition :p"
anonymous: "when will plants vs zombies 2 coming to android? anyone?"